Remarkable specialty wines. 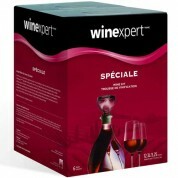 ice wines, ports, sherries and sparkling wine can all be made from the selection speciale range of award winning wines. makes approximately 30 – 375ml bottles or 15 – 750 ml bottles. Full kit instructions can be downloaded by clicking here.